If you are looking for information on the Nutri-Lawn franchise business opportunity, NutriLawn franchises or Nutri Lawn franchising, then you have come to the right place. Now more than ever a Nutri-Lawn franchise puts you in control of your future with our experience, expertise and our on-going commitment to the innovation and delivery of the best ecology friendly products and practices. 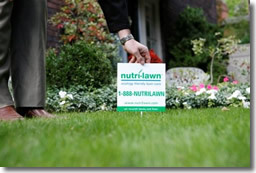 As the leader in lawn nourishment, Nutri-Lawn has a very distinctive way of thinking about who we are and what we do. We understand that homes are places of great trust and commitment. We see that Nutri-Lawn connects the outside of the home to what goes on inside the home. Healthy lawns, healthy homes, healthy lives. With that as our responsibility our franchisees have a brand that really means something. Our system was founded on the belief that there had to be a better way to the traditional lawn care practices. 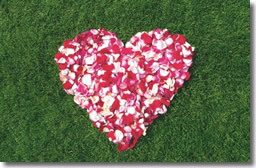 We don't blanket-spray control products like many other lawn care companies do; such products are used in a targeted, controlled manner and only when and where needed. Some business claim to be green, we were green before green was cool. Now more than ever homeowners are spending an increasing amount of money on home improvement and maintenance, rather than building or installing new. The market for professional lawn care services in North America has been growing by 5-8% each year with ecology friendly lawn care growing at a rate of 25-30% and is projected to continue significant growth. Nutri-Lawn provides you with initial training in turf management, business practices, customer service, sales, and marketing. Training is provided at Nutri-Lawn headquarters as well as on site in your own territory and provides you with the breadth of knowledge and specific expertise expected of a professional in the lawn care field. You will have the tools - systems manuals and electronic training materials - to train your staff as you add capacity to your business. 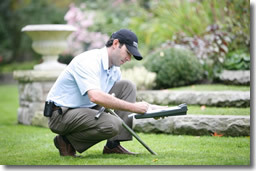 A Nutri-Lawn franchise gives you access to some of the most powerful business management software in the industry. CRM, service routing with handheld GPS units, powerful reporting tools, customer service site integration and real-time are all components of this unparalleled tool. Potential customers are able to obtain estimates, pay and schedule service directly through our website. Nutri-Lawn customers also have access to their own customer service website with real time service records (what services have been completed, when their next application is due), account information as well as interactive tips and hints for best lawn care results. We are also leading the industry with powerful, web based benchmarking tools. These benefits allow you to focus on what's important to the success of your business...working on the business rather than in the business. We nourish lawns and lives.